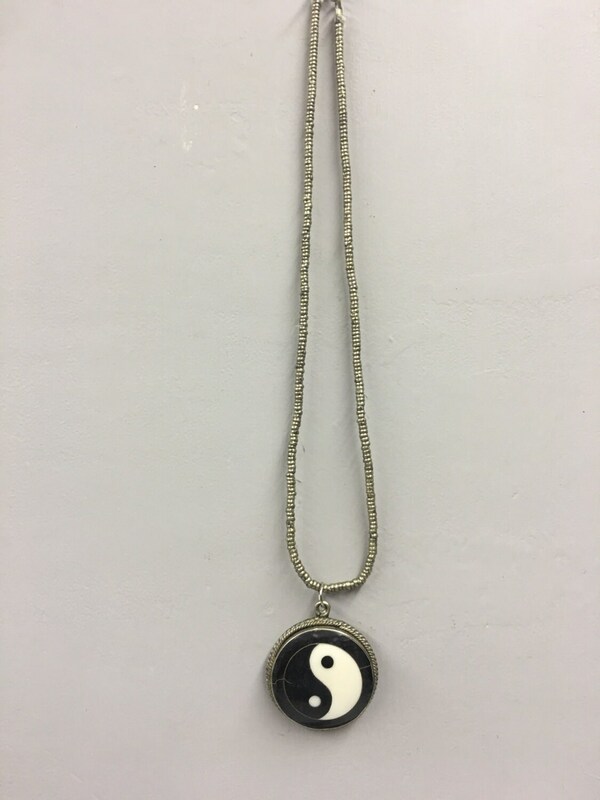 This unique Black Horn and White Bone Yin and Yang Pendant comes from Nepal. This pendant is on an Afghanistan Silver Heishi necklace strung on cord with a hook and eye clasp. 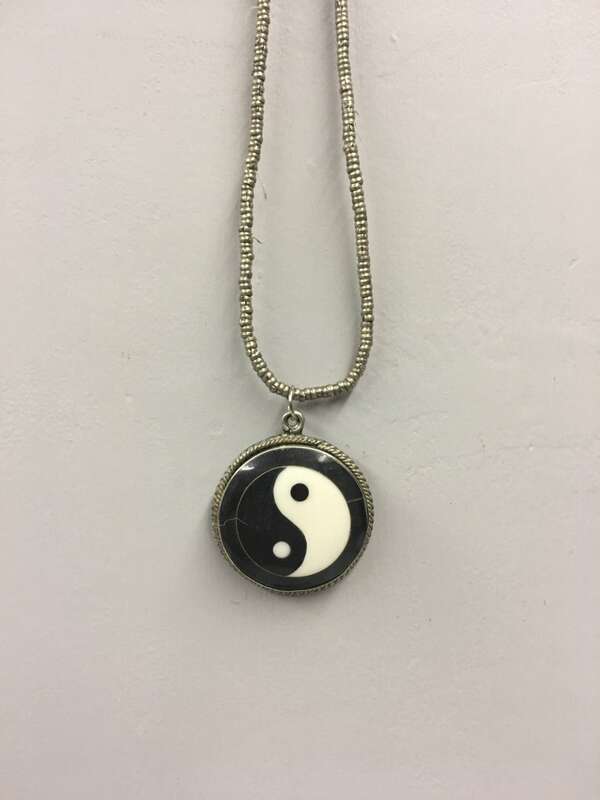 In Asian philosophy and Chinese philosophy, the concept of yin yang ("yin and yang"), literally meaning 'dark and light', is used to describe how polar opposites or seemingly contrary forces are interconnected and interdependent in the natural world, and how they give rise to each other in turn. Opposites thus only exist in relation to each other. This necklace makes a wonderful gift. A beautiful, very solid pendant. Will treasure this for a long time.